By glabwrites	Abortion, Baby Doe, Bill Cook, Birth Defects, Book Corner, Brynda Forgas, C. Everett Koop, CFC Properties, Fountain Square Mall, Joycelyn Elders, Marvin Gaye, Ronald Reagan, Stefano's Ice Cafe, The Hidden Closet, US Public Health Service, US Surgeon General, What's Going On? 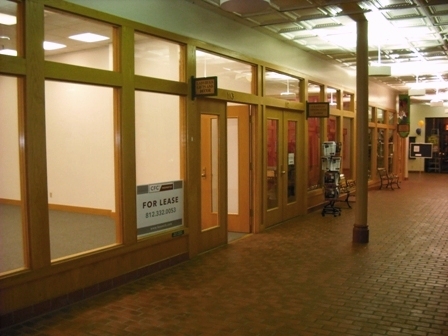 Fountain Square is a lovely development and Bloomington will forever be in debt to the late Bill Cook for ponying up the dough to rehab the place, but let’s be frank — it’s tough for a retailer who doesn’t have sidewalk frontage to make a go there. 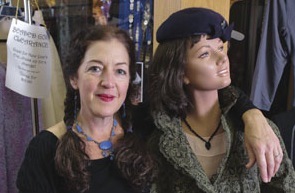 Brynda Forgas, boss-lady at The Hidden Closet boutique, has been surviving in Fountain Square for a few years. She hopes to thrive elsewhere now. She’s opening up new digs behind the Book Corner in the old home of Glorious Moments, an art emporium that closed down suddenly under fishy circumstances a couple of months ago. Brynda and her husband are hustling to rebuild the interior of the space for the Closet’s “grand-ish” opening party, Friday, June 1st, at 5:00pm. She says she’s calling it “grand-ish” because she doesn’t want to raise people’s expectations too much but she did reveal she’ll be serving cream puffs. That’s grand enough for me. See you there. Speaking of Fountain Square, one of Bloomington’s secret pleasures remains hidden there. 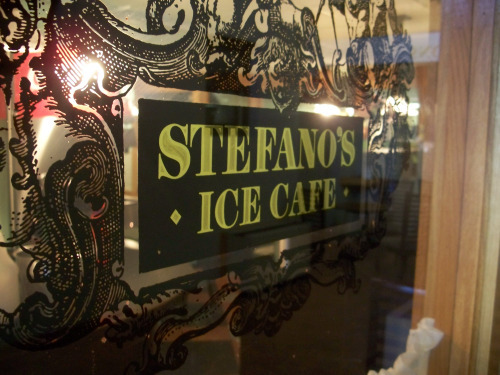 That would be Stefano’s Ice Cafe, down in the lower level of the mall. Fab sandwiches and sides. The place is run by a husband and wife team from Afghanistan. They treat customers as though they’re long-lost cousins. If Stefano’s had a streetside storefront, the line to get into the place would be halfway around Fountain Square. As it is, you can go there at lunch time, get served in the snap of a finger, and eat like a king. May as well take advantage of it now, before they move out, too, and you’ll have to wait. BTW: Have you ever wondered why the US Surgeon General always wears a uniform? 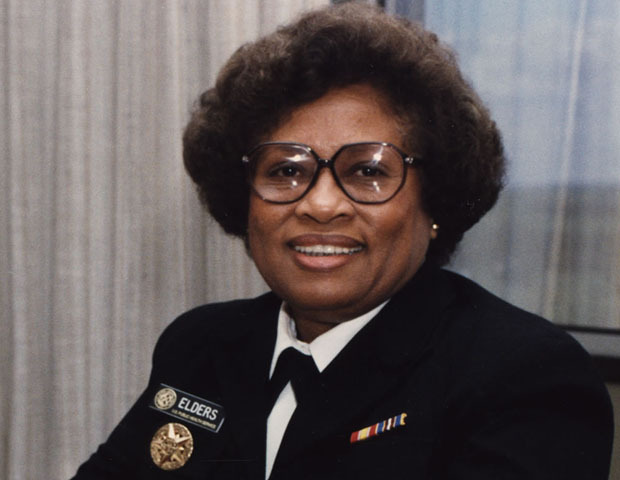 The post of Surgeon General today carries a military rank equivalent to a vice admiral in the Navy. The wearing of the uniform had fallen out of fashion among SG’s until C. Everett Koop came along under the Reagan administration. 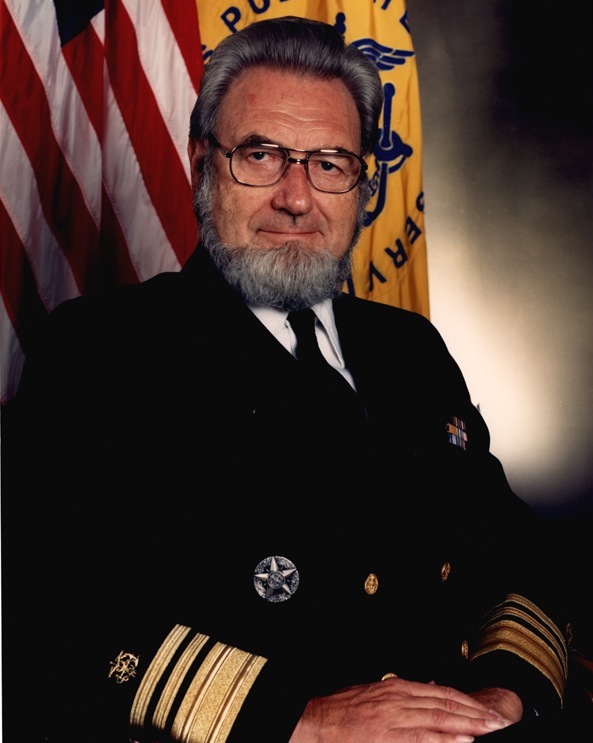 Koop was a national health evangelist and he felt wearing the uniform would would cause citizens to pay a little more heed to him than other fed bureaucrats. Considering the fact he yelled at Americans to stop smoking and stood on his head to raise AIDS awareness, any trick he could think of to get us to listen was worth a shot. Koop was a strong anti-abortion advocate, although I can’t come down too hard on him because his belief stemmed from years of treating fetuses and newborns, so I don’t suppose it was born (pardon the pun) of some lockstep religious conceit. He also wouldn’t take to the bully pulpit to condemn doctors who performed abortions or women who received them. Anyway, Bloomington has a notable Koop connection. In 1982, local parents of a child born with severe Down Syndrome, esophageal atresia, and a tracheoesophageal fistula wrestled with the decision to treat the child or let him pass. The attending physician advised them the boy, known as Baby Doe, only had a 50 percent chance of recovering fully from surgery and even if he did, he would be virtually unable to care for himself for the rest of his life due to mental retardation. The parents elected to withhold food and water from the boy and he died after six days. Koop, a noted pediatric physician before taking his government job, had performed surgery on hundreds of newborns with the maladies and said he’d never lost a patient. Moved to action by the Bloomington Baby Doe case, he advocated a national statute protecting children born with severe birth defects, eventually passed by Congress as the Baby Doe Law. Koop seemed a decent Joe despite the fact that he championed a “right-to-life” agenda. Just goes to show not everyone we disagree with needs to be demonized. Hey, don’t forget to check the Pencil’s GO! Events Listings. If you don’t have this disc or mp3, your collection is incomplete. I read Koop’s biography. Really amazing professional life experiences he had.